Heavy Duty Casters: HC-4 | Altus, Inc.
Tough medical swivel caster. Constructed from high grade synthetic materials you won’t be disappointed of its reliability! 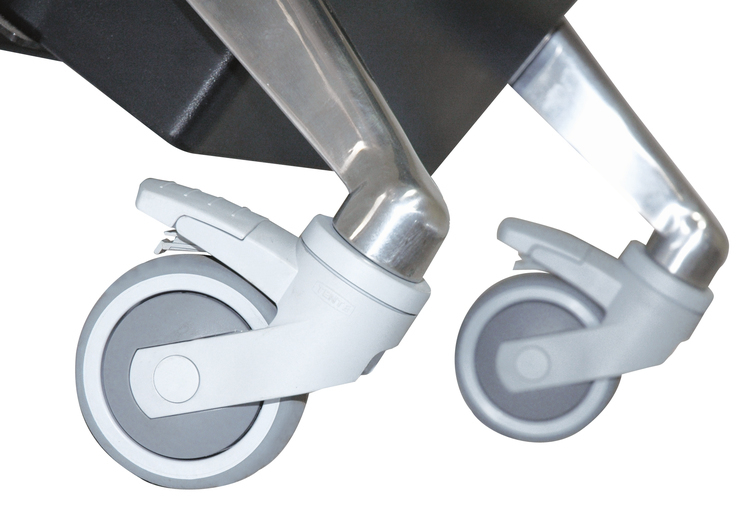 The casters’ grey non-marking precision ball bearings keep the wheel quiet, perfect for a sensitive healthcare environment. Lock security. Bolted to the base of the workstation. The easy to use white locking lever will keep your cart steady at bay while your clinicians step away. Its stylish, resistance to wear and tear body will compliment the rest of your durable hospital IT cart. Easy mobility for both carpet and hardwood flooring.